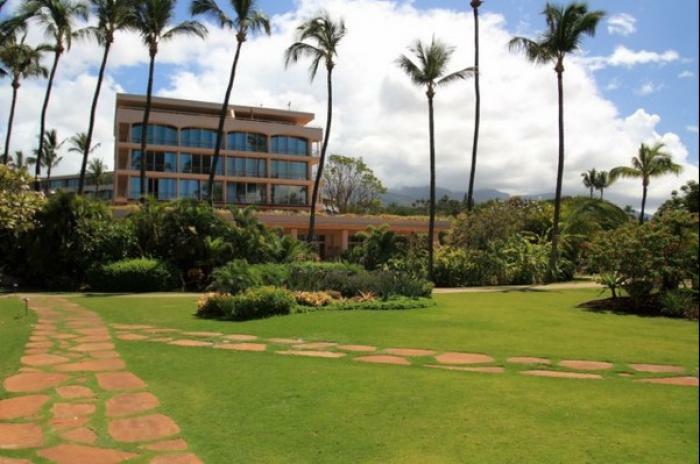 If an expansive resort location in Kaanapali is what you are looking for, then the Maui Kaanapali Villas is the place for you. These idyllic Maui vacation rentals, just north of the restaurants and shops of The Whaler’s Village and famous Black Rock, boast prime beachfront swimming and snorkeling, two newly remodeled pools and even a small gym (fee). Our studios and one bedrooms are spacious, beautifully furnished and afford breathtaking ocean views from their lanais, perfect for watching the red Maui sun dip into the Pacific. Have the convenience of dining at the on-property Castaway’s Restaurant or stroll down the beachfront walkway to experience the flavors of Duke’s Beach House and beautiful Airport beach. To top it all off, there is a “General Store” located right in the lobby as well as a display of old Hawaiiana. The free Kaanapali shuttle runs daily. With so many amenities and delights right at your fingertips, these Maui vacation rentals are sure to beckon your return year after year.